The Courtyard Jacksonville I-295/East Beltway recently participated in a donation drive for the United States Coast Guard sector Jacksonville. 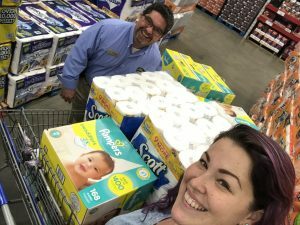 Hotel managers Tom Cancellare and Lacie Belton visited the local Sam’s Club and purchased essential items for Coast Guard families in need during the government shutdown. Tom Cancellare reached out to his Coast Guard contact Seth Buswell to see if there was anything the hotel could do to help. “I recently saw a report on the local news featuring Seth’s wife talking about ways the local community could help. Once I saw that report I knew we had to do something, “ said Cancellare. “When I went to Yaser to see if he would be willing to have the hotel donate items he did not hesitate and told me to do whatever we needed to do to help them out,” he added. 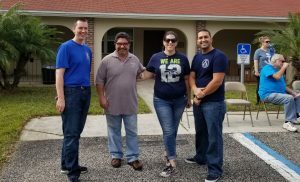 Tom delivered the items to a collection event being held at a local church sponsored by the Coast Guard Chief Petty Officer’s Association and organized by Seth and Beth Buswell. 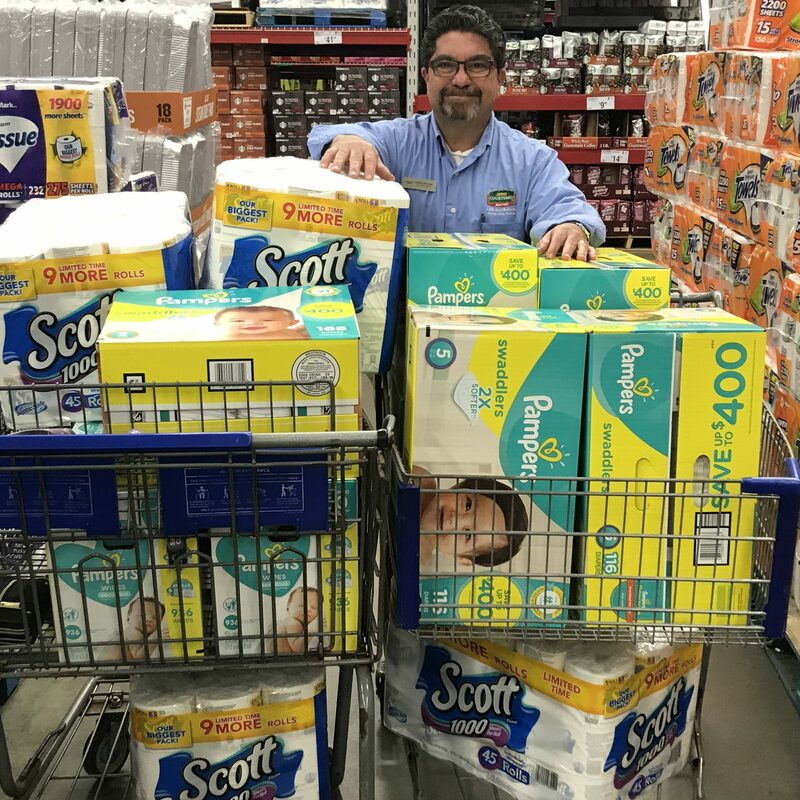 Helping these families in their time of need made the entire team feel a sense of pride that we work for a company that truly leads by the example of giving back to the community. Way to Go Tom and Team! Wonderful way to give back!!! This is incredible. Awesome job supporting the men and women who serve our country!!! Thank you Team Courtyard !!! Anybody out generally there 25 yrs old or older with out a driver license.? I am illegally blind. My oldest friend is 68 today and hasn’t had a driver’s license for 50 years. who are third era non-drivers. Go to Europe and you may find hundreds of millions of these. share. I’d not be surprised to find half the adults in the world usually do not drive. Love this! Thank you, I am sure the families are very appreciative.